Wow! What a delightful giveaway this was! We had so much fun reading through all of your love-filled entries. You people sure do love your moms...that or you really want free stuff. From the tone of all of these great entries though, I'm going with the love. Here are some entry highlights. I've got a cool gift on the way! Your ClearPlay will save the day! And its all thanks to ClearPlay, hooray! Any poem that uses the word Glutties is worth an honorable mention in my book. and now, even though I'm miles away I can still take out the trash. Enjoy a little trash-free TV. ...because when scary or bad scenes would come up on movies we watched as a family, you told me to cover my ears and you covered my eyes. Now I can do the same for you. Remember that time when us kids were young and we accidentally watched the Alfred Hitchcock movie "The Birds". You spent the whole summer having to clear the yard of all flying creatures before we would venture outside to play. To prevent a repeat of that experience for ourselves and our kids we're giving you this wonderful technological marvel that will make those questionable movies "Grandma Friendly". P.S. I still protect my eyes when I see a flock of seagulls. Mom,Think of this new DVD player sort of like having a movie's potty mouth washed out with soap. I wonder where I learned that one? Hi Mom,Here's some roses for you. Sorry but they have thorns. Luckily, none of your movies will now! Clearly, you've Played a big role in my life so I'm giving you this ClearPlay because...you once told me you wanted to see some of the more recent Oscar-winners, "like that Slumdog Freaklord." Adorable as that was, I'm still cringing. You taught me about I Love Lucy, MASH, and Leave It to Beaver, but now it's time for me to give something back. Just think: now you can enjoy that "kind of cute guy" in Gladiator without commercials and without setting up a time with me to lug Franco the Clearplay over to your house! Awesome use of movie titles woman!! Clearly, you've Played a big role in my life so I'm giving you this ClearPlay because you never seem to like the gifts I get for you. I'm giving you this ClearPlay because you don’t seem to use the Xbox controller I gave you last year. I know you would like the games if you just tried. I'm giving you this ClearPlay because you didn’t like the pants I got you. I thought the elastic waistband was perfect since I didn’t know your size. I'm giving you this ClearPlay because you didn’t like the iron I got for you. I’ve never seen you use one, and I thought that might be because you didn’t have one. I'm giving you this ClearPlay because I seem to use the bowling ball I gave you more than you do! I mean, it says, “mom” right on it?!?! so you can watch Braveheart too! Now lets watch some movies! your grip on the remote! Relaxing that remote grip is a fabulous feeling! 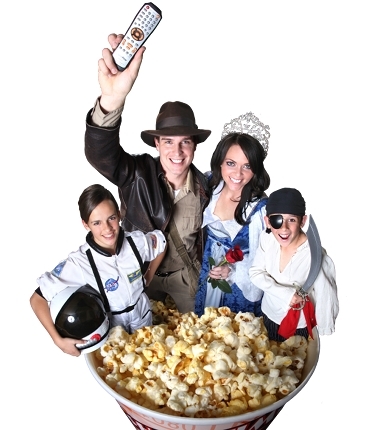 And our winner of the ClearPlay DVD player (and free membership) and dozen roses goes to Joel for this entry. Dear Mom,Allow me to take off the "Mushiness" filter so I can let you know how much I love and appreciate you. Also, I hope to always live my life so you won't have to use the "Dishonor Parent" filter on me. Nothing better than a little ClearPlay inside joke on the blog. Congratulations Joel email us moviemoms@clearplay.com a.s.a.p so we can get those roses delivered by Mom's Day. Thank you to everyone who participated, your declarations of love for your moms were touching and I hope you'll pass on the notes to her anyway. We want to declare our love for Moms and for your entries by passing on special thanks to you readers. 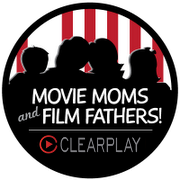 Enter coupon code "lovemymom" when you purchase a ClearPlay DVD player for your Mom and get a $20 discount.